On 10th August 991 AD a large party of Viking raiders landed on a small island in the River Blackwater, a little way downstream from the old town of Maldon in Essex. The Vikings were met here by a small force of Saxon soldiers, who prevented them making their way across a narrow causeway connecting the island to the mainland. “’Hearest ‘ou, seaman, what this folk sayeth? Such a haul of harness as shall hardly profit you. You have come a long way into our land. The poem, which is sadly missing its first and last verses, is now thought by scholars to be one of the finest examples of Old English poetry – the translator of my particular copy even holds it to be a better poem than the far more famous Beowulf. The distinctive cadence of these Saxon poems is particularly striking. It may well be due to a drop of Anglo-Saxon blood in my veins which stirs an affinity in me for their lyrical and alliterative language. 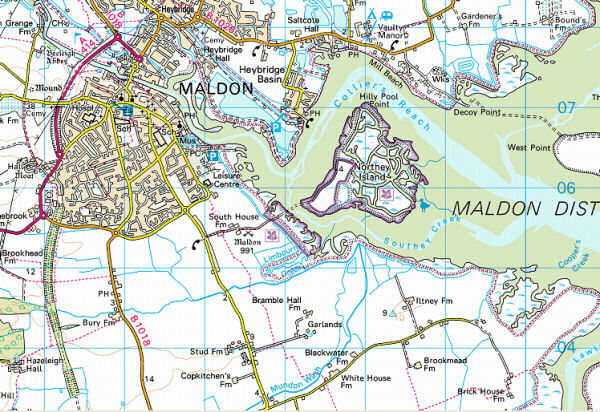 Originally thought to have been composed in an oral tradition it is known that The Battle of Maldon was eventually written down, and thus better safeguarded for posterity – but only just. That original late 11th Century manuscript, thought to have been written by a scribe from the Monastery of Worcester, was later a part of the library of Sir Richard Cotton, but was lost in the fire which consumed Ashburnham House in 1731. Fortunately, the verses had been transcribed, by John Elphinstone, the keeper of the library, hence whilst the earliest manuscript was lost the words of the poem survived. 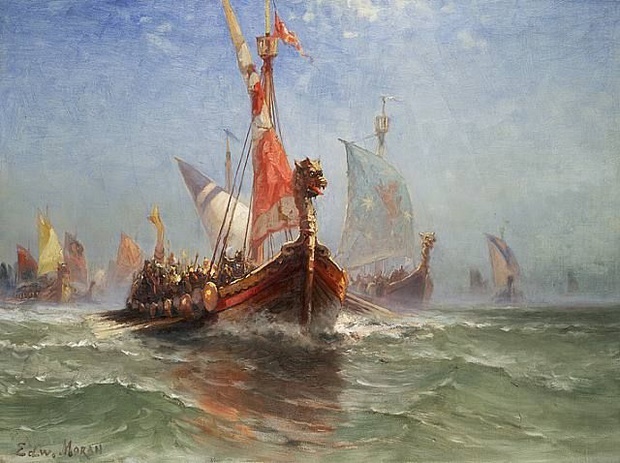 The battle was perhaps not a particularly significant one, although it is recorded in the Anglo-Saxon Chronicle, hence we know it did take place and the people described in the poem are readily identifiable historical persons. But what perhaps makes the poem stand out, as Michael Alexander describes it, is that: “The author obviously knew the men and the place concerned, and may well have been a participant. His tone is aristocratic; there is no reason to suppose that he was not a member of the Earl’s comitatus of hearth- and shoulder-companions.” Certainly, the battle is very vividly recounted and described in the poem – it’s easy to imagine, or tempting to assume, that this might well be a firsthand account composed by one who was there, by one who knows. This immediacy was one of the things which struck me so deeply when I first read the poem, but it was only one of the motivating factors which made me want to find the battleground and see the site for myself. Another aspect which drew me to this poem was the place itself. For when I first read the poem I already had a vicarious personal connection to the area. 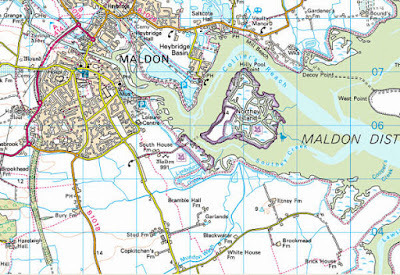 Even though I’d never been there I’d worked on an curatorial project which was connected to Maldon, and to the rivers of the Blackwater and the Crouch in particular. Some fifteen years or so ago now, I spent a very long summer working on sorting, identifying, and cataloguing an extensive collection of prehistoric stone tools (or ‘lithics’) which had been collected along the banks of these two rivers by a couple of local archaeologists, Steven W. Vincent and William H. George, who conducted an extensive field-walking survey here in the 1970s. 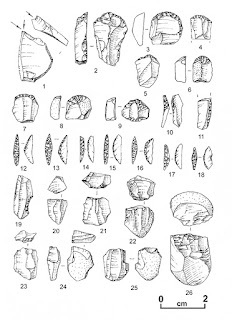 The collection (Ex-Passmore Edwards, now in the British Museum) consists entirely of Mesolithic (9000-4000 BC) and Neolithic (4000-2000 BC) flint tools, many of them very tiny blades, scrapers, and microliths, as well as cores, and the more readily recognisable flint arrowheads. It is a remarkable collection built up over several years, and also, I should imagine, many, many miles of traipsing through the mudflats of each river at low tide. I’d previously done quite a bit of archaeological field-walking myself (in Northamptonshire), hence I could readily identify with the almost addictive attraction it holds. There’s nothing quite like walking solitary across a vast expanse of freshly ploughed field after a shower of rain, mud-caking to your boots like a proper clod-hopper, with your eyes cast down; scanning the turned folds and glistening scatters of broken earth, and spotting a hand-worked flint gleaming in the fresh light. There’s something indescribably marvellous in crouching down and picking up the tiny little implement, turning it in your fingers and looking at it up close – simply knowing, that in that very moment, you are almost definitely the first human being to pick that object up in a couple of thousand years, who actually knows what it genuinely is. It’s not a random stone or pebble. It is a tool, perhaps one of the earliest forms of technology. 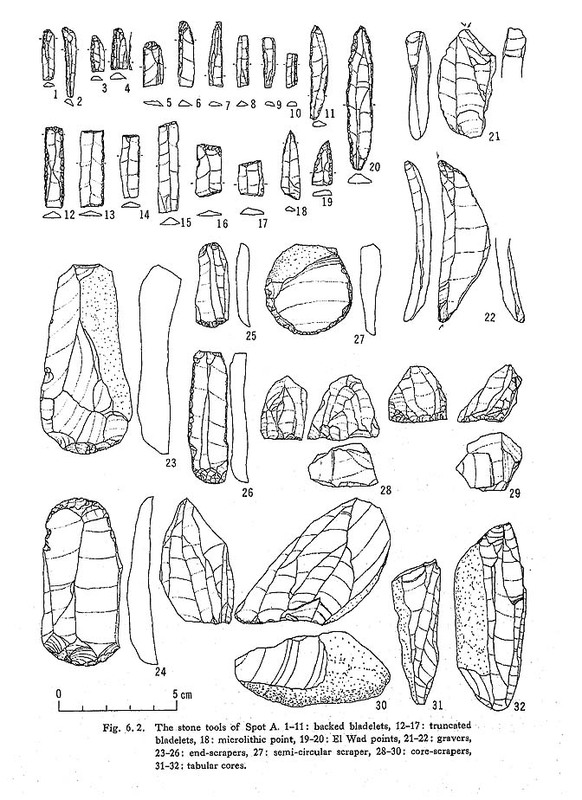 It was made by another human hand, by one of your oldest ancestors perhaps, and they’d made it purposefully to use in hunting (arrowhead, microlith), or in preparing animal carcasses and skins (blade, scraper), or they’d carried it as a reserve supply from camp to camp (a core, from which they could strike further blades). It is a magic feeling, especially if you are out alone, in the freshest air and sunshine after a summer rain shower, with the rich scent of the earth and the whispering sound of the wind sifting through tall trees, far from any built up area – you really feel an ancient connection to the land. It is a magic moment for sure. Hence, in some senses, it is that moment of connection; in reading the poem and somehow sensing its immediacy – that feeling of the past flaring back up into life, like a flint spark igniting a flame. That sense of history coming alive in your hands, this is what draws me to the study of the past more than anything else. I suppose there is a very vital sense of exhilaration which comes in that fleeting moment of genuine empathy, when we connect with what has gone before. There are so many ways in which to find that connection, I know I’ve written of some of these before – such as, seeing the decorative trace of a thin cord of rope which has been pressed into the wet clay wall of a Neolithic urn, the urn then baked preserves the imprint of that perishable organic creation and makes it last for several thousand years; or the imprint of a thumb in the same clay sherd, in which you can see the very whorl of the fingerprint of the potter, again several thousand years or more, long since passed away. Even human remains themselves – there’s something viscerally true about looking into the face of an ancient human skull; but, I find it far more amazing, if it’s possible to see inside the skull, to look at the endocast (or the ‘imprint’) of the brain on the inner skull wall and then to think of the breathing, thinking, talking person who once lived their unique life so long ago. It’s not so much macabre, for me at least, as marvellous. What must those eyes have seen? What must this person have thought, felt, and witnessed in their lifetime which was just as real, vital, and singular, yet just as socially rich and connected as my own? – How can we ever truly know? Well, even though it is from a much later period, a text – like The Battle of Maldon – can bring us part way closer to this end. By going to Maldon I felt like I was making a closer connection for myself. I’d read the poem so many times already, I’d studied maps and commentaries about the battle and the poem. Was it a heroic poem, commemorating those who had valiantly fought, or was it a tale of vainglory and folly? – Presumably it was in the interests of fair play that Bryhtnoth magnanimously withdrew his small force of men from the ‘bridgehead’ of the causeway and let the Vikings cross so that they might set up their ‘shield-wall’ along the level salt-flat so that battle could properly be joined according to the norms of the time, according to the established ‘rules of engagement’, if you like – But how to interpret this act? The Saxons were clearly vastly outnumbered, and they knew it. When the two sides finally clashed and the battle commenced, it was undoubtedly hard fought by both sides, but ultimately, the Saxons were routed. 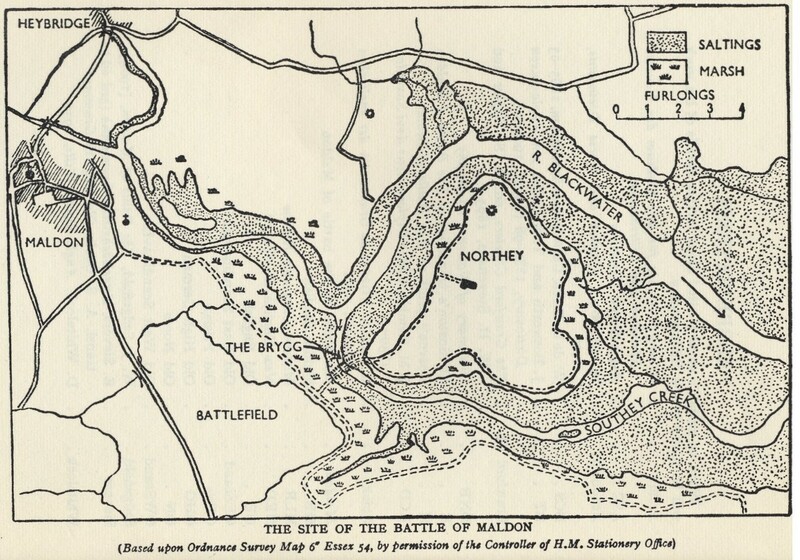 The Battle of Maldon was in fact a massacre. There is a key Saxon word in the poem which gives translators not a little interpretative difficulty. The word is ofermōd – literally meaning, ‘over-heart’ or ‘having too much heart’ (in Swedish övermod, or in German übermut, meaning both ‘hubris’ and ‘recklessness’). In this sense then, are we meant to read the poem as a paean to a patriotic hero, or as an elegy to the sin of overreaching pride? It is perhaps a testimony to the significance of that particular act – simply that it was recorded and continues to be remembered to this day. Like so much of history, it can mean whatever we choose to interpret it to mean. As a story of national resilience, foreshadowing Winston Churchill’s famous speech: “We shall fight on the beaches …” – A story of heroic emulation, goading and galvanising us together into a shared sense of community, or as a parable against foolhardy pride and folly, it can connect us to the past in so many different ways. Some of these ways might perhaps be more nuanced and personal to us as we set out in search of tangible traces of that past for ourselves. Finding those connections may simply be the real reward in itself. For me, this is the joy of ‘doing’ history. As heirs to this past, it is up to us to keep these memories alive. It’s important to remember, to recount what is said to have happened, and to think about it. To feel that the past was something genuinely real – something which was once lived. 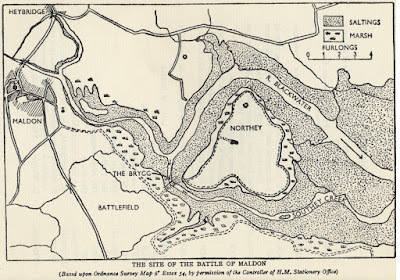 There are a number of articles and commentaries about the Battle of Maldon on the web – one of the most interesting is this post by Eleanor Parker on her blog A Clerk of Oxford. Plus this slightly different interpretation of The Battle of Maldon poem (re-enacted by Lego figures) is quite good too! 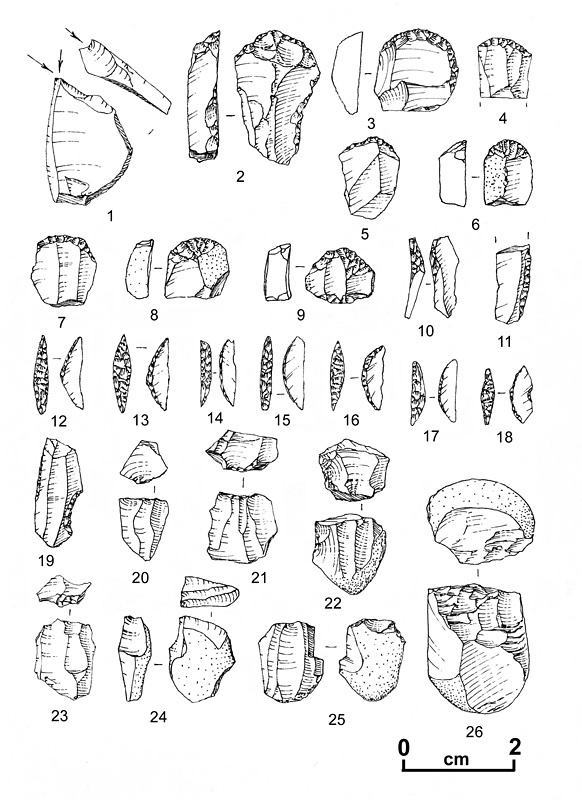 I learnt much of what I know about lithic typologies from Dr Roger Jacobi, whom I was very fortunate enough to have worked closely alongside for several years. 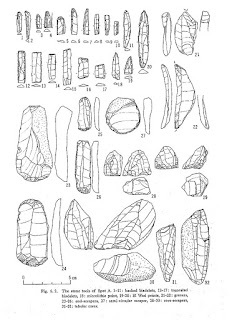 Another mentor of mine in Prehistoric archaeology was Dr Ian Kinnes. Both of whom very sadly passed away a few years ago. I’m really pleased to see that Roger’s archive has been preserved and is now in the process of being digitised for the use of other scholars.